For the Parents. By the Parents. BuzzingBubs curates information for parents who want to spend time and resources on quality products and experiences. 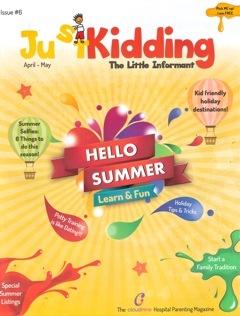 From things to do in the city, schools, play areas, party venues, products, services to health and nutrition advice and more. Our website verticals spread across the entire spectrum of the kid’s space. We know you’re busy-parenting can be stressful at times as there are so many hoops to jump through. We carefully scan through the ocean of information and happenings out there and bring you all the relevant information that you can use. Our mission is to be the one-stop destination for parents! So go out there and do more with your kids! Meet our Team who make all this possible! 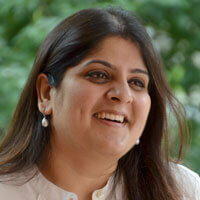 Sunena Saigal is a graphic designer turned entrepreneur with BuzzingBubs. 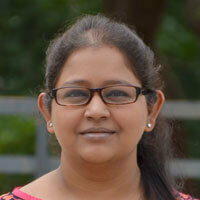 She began her career as a user-interface specialist with InterGlobe Technologies, Gurgaon. Later the Management Program for Women Entrepreneurs (MPWE) conducted by IIM, Bangalore opened the doors of opportunity. Sunena heads the business development division of BuzzingBubs and brings her core strengths of leadership, customer engagement and commitment to the task at hand. She also handles the technical side of managing the website. Priyanka Sehgal, an alumnus of Sir J.J. School of Art, 2001 holds a degree in Fine Arts and is an interior designer by specialisation. It was there that she found her passion transform into a career, the world of design and execution for independent homes. Her impressive portfolio of work includes her stint as a freelance interior designer followed by project management at Available Light, a lighting consultancy firm. All of that, however, became a thing of the past when she relocated to Bangalore circa 2009. She currently handles content strategy at BuzzingBubs, liaises with contributors to the site and also brings her artistic skills to the fore with her incredible sketches. 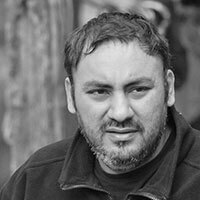 Sunit currently heads design at Olacabs. Prior to this, Sunit was heading design at Cleartrip. 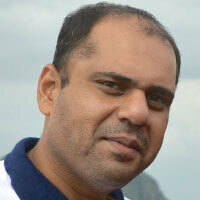 He’s been instrumental in setting the tone for Cleartrip Mobile & led the recent redesign. Sunit graduated from J. J. School of Art to be a painter, followed by a post grad in Communication Design from the Industrial Design Centre, IIT Bombay. While he has built & mentored design teams through his career, his background in fine art keeps him thoroughly hands-on. Previously, he’s led design at burrp! and Paper Plane. Jasmeet currently is CEO of a manufacturing industry in Bangalore. He completed his Banking and Finance MBA from Birmingham University, UK, after a Commerce graduation from Bangalore. Prior to this, Jasmeet has worked as a Senior Financial Analyst with HP and also was a founding member of a technology start up. He has worked extensively in the areas of finance strategy, product business development, global finance operations and M&A.